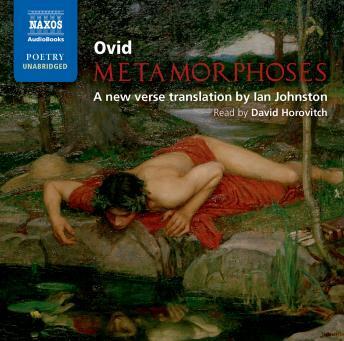 The Metamorphoses, by Publius Ovidius Naso (43 BC-AD 17) has, over the centuries, been the most popular and influential work from our classical tradition. This extraordinary collection of some 250 Greek and Roman myths and folk tales has always been a popular favourite and has decisively shaped western art and literature from the moment it was completed in AD 8. The stories are particularly vivid when read by David Horovitch in this new lively verse translation by Ian Johnston.